NEW! The Laser Keyboard Kit II now available, click here for details. 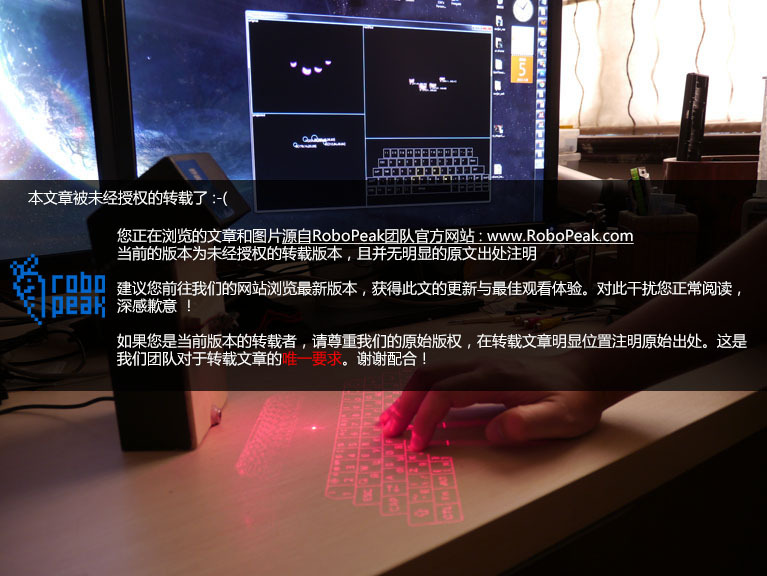 The idea of projecting a virtual keyboard using a laser is very cool. But currently the existing product is a little bit expensive. Our design supports mutiple key inputs (up to 10 keys) and works just like a normal keyboard on Windows and MacOS. Currently the detailed version is written in Chinese, they will be translated to English soon. 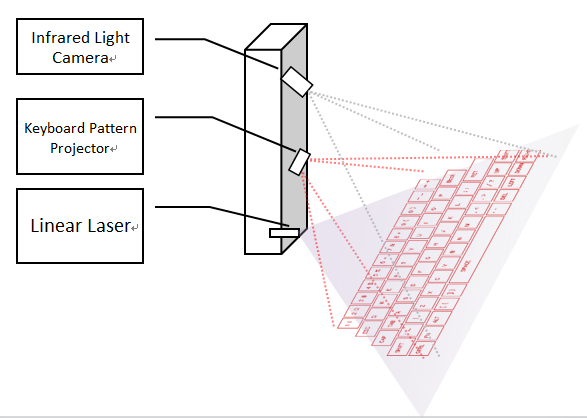 Our laser projection keyboard relies on Computer Vision processing algoritms to work. A camera-laser system is used to perform distance measuring tasks. 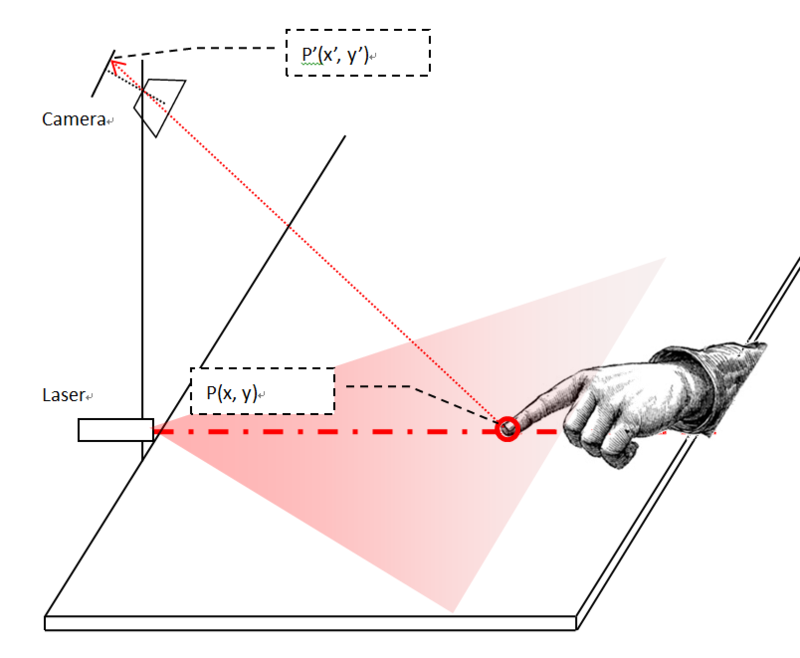 When a user presses a “virtual key”, the reflected laser light will be captured by the camera. And a signal processing software installed on the PC/Mac performs all the critical jobs: recognizing the user’s finger top, perform distance measurement and mapping the position of the user finger top to the related key value. The easiest way is to order a DIY kit. 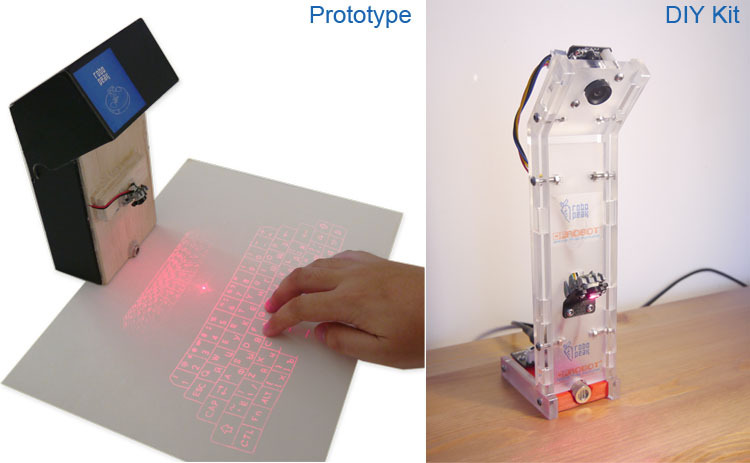 Currently DFRobot is helping us to provide the DIY kit of our low cost laser keyboard design. 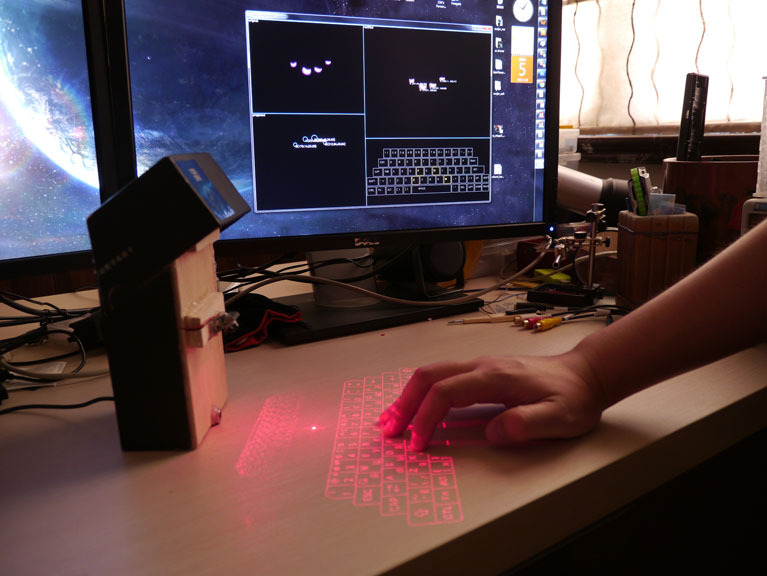 The kit includes all the stuffs you will need to build a laser projection keyboard. Also it will provide you a detailed guide to help you during the assembly process.